It is a requirement that a Pool Safety Inspector provide evidence at the annual renewal of their licence of the accrual of 6 CPD Points. The Building Act 1975 and Building Regulation 2006 require that pool safety inspectors (PSI’S) participate in training sessions that are relevant to the pool safety industry, as part of your continuing professional development. It is a requirement that a PSI provide evidence at the annual renewal of their licence of the accrual of 6 CPD points. Your attendance at training or information programs allows you to accrue one point per hour of attendance. A Building Certifier only needs to accrue 4 CPD points per year. APSIC has developed a variety of CPD Training & Information programs to assist you in meeting your CPD requirements. At the completion of the CPD Training and Information program, you will be issued with a letter of completion confirming your participation in the program and the accrual of your CPD points. This letter should be retained by you as evidence of your completion of the CPD program. The APSIC Continuing Professional Development Training and Information programs have been developed in consultation with the PSI industry, relevant stakeholders and the Pool Safety Council. Feedback was requested from PSI's via an Industry Survey to assess the most relevant professional development training materials to be included in our programs and the delivery methods that would be preferred. Time and associated costs would have a large bearing on their decision regarding the training delivery method (distance education or face to face) that they would choose. Based on this feedback, APSIC has developed a variety of CPD Training and Information programs that are informative, will not impact on your day to day business and are the most cost effective delivery method available. APSIC has developed a variety of Distance Education Training and Information CPD programs that are relevant to the role of PSI’s in Queensland. APSIC has already delivered Distance Education CPD training to more than 200 Pool Safety Inspectors. The difference between APSIC and other training providers who offer Distance Education programs, is that we will not 'distance' ourselves from you. After you have enrolled in our CPD program, we are here to help you along the way with any questions or advice you have! The Distance Education CPD Training and Information programs allow you to participate in power point presentations that range in time from 2 hours through to 6 hours, depending on the number of CPD points you require. This can be done in the comfort of your own home, on you’re your own computer and outside of normal business hours, alleviating any negative impact on your business. Furthermore this is the simplest method of training delivery and is also the most cost effective to participants. The Distance Education CPD Training and Information program will require you to take part in a power point presentation, reading over the professional development topics covered in the presentation and answering a short Assessment Questionnaire. The completion of the Assessment Questionnaire provides APSIC with the evidence of your participation in the program. At the completion of the program, you will be required to return the Assessment Questionnaire to APSIC. Following the assessment by APSIC of your Assessment Questionnaire, APSIC will then issue you with a letter of completion for the number of CPD hours you have participated in. It is that simple! The cost associated with the Distance Education CPD Training and Information program is $40 per CPD topic. The below table provides you with an overview of some of the CPD topics that may be covered during Distance Education. (1 CPD Point) This CPD topic will discuss those legislative developments which have occurred over the previous 12 months: eg did you know that a PSI must now inspect a barrier after a pool owner of a non shared pool does any work to their barrier over 2.4 metres and 2 posts? (1 CPD Point) This CPD topic will focus on the Guideline document released by the Pool Safety Council in relation to the non climbable zone: eg did you know that the Pool Safety Council has advised that a hedge located in front of a barrier is not deemed climbable where it obscures the view of the swimming pool for a young child? (1 CPD Point) This CPD topic focuses on the important areas covered in the Newsflashes and Newsletters over the previous 12 months: eg fire safety vs pool safety. (1 CPD Point) This CPD topic will discuss the most effective way for a pool safety inspector to gather evidence that will stand up in a court of law. (1 CPD Point) This CPD topic will review the requirements of a Pool Safety Inspector in relation to record keeping. 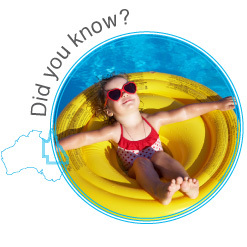 eg: Did you know that where a pool owner has received a Form 36, if a PSI issues a Form 26, the re-inspection period is still 90 days from the inspection of the swimming pool? (1 CPD Point) This CPD topic will require you to consider areas for improvement for pool safety inspectors by reviewing investigation outcomes and the code of conduct for pool safety inspectors. (1 CPD Point) This CPD topic will require you to consider the Annual Report for Deaths of Children and Young People Queensland, considering any improvements which have occurred in the previous 12 months. (1 CPD Point) This CPD program will prove to be both informative and useful in the operating of your business. When operating a business, it is very important that your client has an understanding of the service that you will provide. As a pool safety inspector, a Terms of Service Agreement will outline to the pool owner exactly what the service is that you provide as a Pool Safety Consultant or a Pool Safety Inspector, and can assist you in ensuring that payment is received on time. Timber fencing with rails: Where a timber fence with rails is 1800 mm or more in height, must the 900 mm NCZ always be measured from the top of the fence? Corrugated iron: Is corrugated iron deemed to be climbable? Enrolment in the APSIC Distance Education CPD Training and Information program will require you to complete the CPD Distance Education Enrolment Form, identifying the number of CPD points you wish to complete. Once you have completed the Enrolment Form, you are required to return this document via email to APSIC at the following email address: APSICCPD@gmail.com. Upon receipt of your Enrolment Form, an APSIC Training Consultant will process your payment and email you a receipt, along with your CPD Training and Information program. This program will include a power point presentation and an Assessment Questionnaire, along with associated resource reference materials. Following completion of your CPD Training and Information program, you are required to return your Assessment Questionnaire via email to APSIC for assessment. Upon receipt and assessment of your Assessment Questionnaire, APSIC will email you a letter of completion, confirming your participation in the associated CPD program. Please retain this letter as evidence of your completion of this program. The assessment of your Assessment Questionnaire may take up to five business days, therefore if your licence is due for renewal, do not leave the completion of your CPD program until the last minute. It is necessary that you allow APSIC reasonable time to assess your work and to issue you with your letter of completion. As part of the annual renewal of your PSI licence, it will be necessary that you provide evidence to the Pool Safety Council of the accrual of six CPD points as required under the Building Regulation 2006. The APSIC letter issued to you at the conclusion of the APSIC CPD Training and Information program will provide you with evidence of the accrual of your CPD points. Evidence you have the prescribed professional indemnity insurance. Evidence that you have undertaken in the previous 12 month period the required CPD. The Pool Safety Council will assess each renewal application to determine if an individual is a suitable person to be licensed. A licence remains in force for 1 year from the date of issue – unless cancelled, suspended or surrendered. For further information regarding the APSIC CPD Training and Information programs, please contact the Training Manager Jacqui Pascoe who will be happy to answer your questions. Thank you for choosing APSIC to deliver this specialised training to you and we look forward to assisting you to meet your CPD requirements.